Hi mix guys, thanks for again an excellent hour of music. It is worth staying home to listen 🙂 I really enjoy the themes chosen and also the awesome graphics. Wow, so appreciating your work! Very good show! Thank SpaceCsoky! Thank you very much for your appreciation. Me and my colleague SpaceAnthony we are glad you like these mixes. We are glad to present our programs. Hi guys and Happy Easter for those who celebrate it! 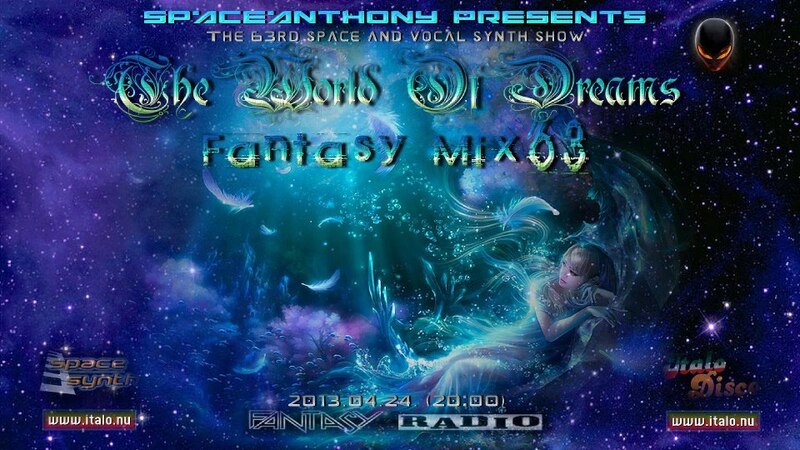 I just want to make myself present with a special kind request to SpaceCsoky and SpaceAnthony so to give me a link by which i can get hold of some missing Fantasy mixes. Those are from 58 and up. Would you please give me a helping hand? I am sending you many thanks as large as Australia and keep the work up, for those who still are fond of this type of music.